I’ve been officially off sugar since early 2012. Today, a few years on my sweet tooth is easily satisfied. Where once I could easily devour a whole (large) bar of milk chocolate I’m now happy with a few squares of 85% dark chocolate. 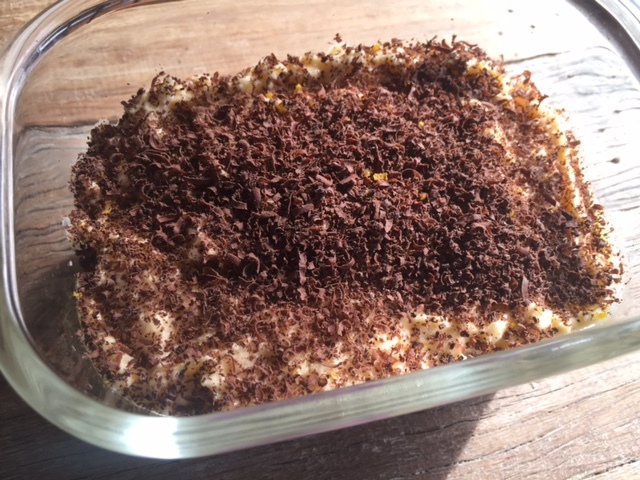 Giving up sugar hasn’t meant giving up my favourite desserts – because so many sweet recipes, like tiramisu, can be adapted easily to make them relatively sugar free. 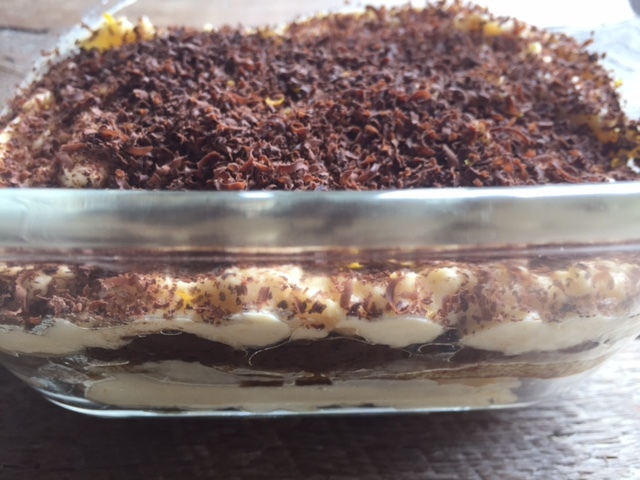 I was inspired to make this tiramisu by a couple of recipes from well known chefs – Jamie Oliver and Neil Perry. With some simple adaptations I’ve removed the added sugar from their recipes. Is it completely sugar free? 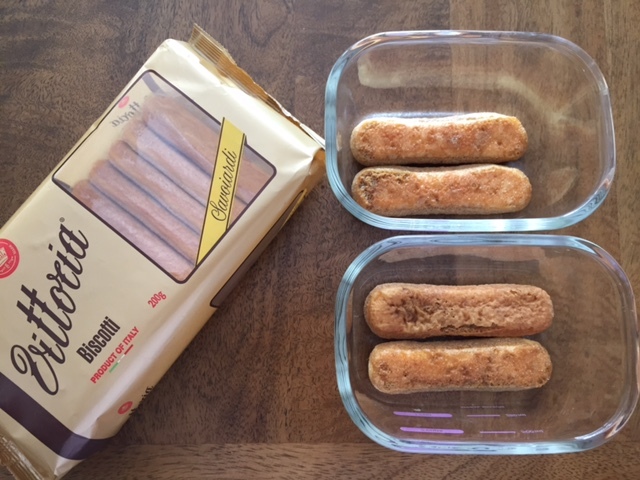 No – the Italian biscuits contain a level of sugar. But it’s got nowhere near as most desserts. 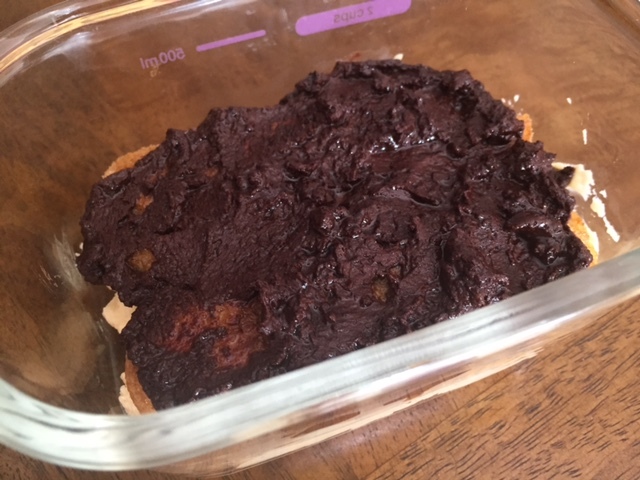 I’ve tested this recipe on sweet toothed friends and family members, who typically ask for a second serving – a sign it must be good. These quantities serve 3-4 people. You can easily double the amounts below. Gather the ingredients plus a couple of mixing bowls, a spatula, an electric whisk. And of course a cloth to clean up the inevitable mess to come. 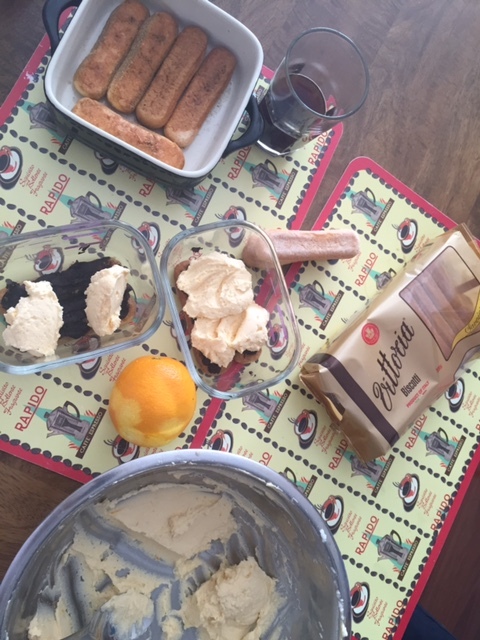 Decide what you’d like to prepare your tiramisu in – a safe option is a large glass or ceramic bowl or dish but you can also use individual serving bowls. Melt most of the chocolate along with the butter (a couple of squares of chocolate are reserved for grating at the end). Prepare the coffee and add a generous splash of marsala or other liqueur (stir in the optional sweetener now too). Separate the egg yolks and whites in different bowls. Whisk the yolks with your electric whisk on a high setting until they are pale and fluffy. Then fold in the mascarpone. Clean the whisk and then whisk the eggs whites until stiff white peaks have formed. Gradually fold the fluffy egg whites into the mascarpone mixture. Place half of biscuits neatly into the serving bowl to form the first layer. Pour over the some of the coffee, giving each biscuit a good even coating. The biscuits should be moist but not drowning in excess coffee. Spread half the melted chocolate over the biscuits with a spatula. If the chocolate isn’t runny enough to create a smooth covering then add a splash of the coffee and/or alcohol to the chocolate first. Then spoon half of the mascarpone mixture on top of the chocolate layer. Repeat steps 6 & 7 to create a second layer – biscuits, chocolate then mascarpone. Grate the remaining non-melted chocolate over the top then cover with cling wrap and set in the fridge for two hours (or longer). I’m not the fastest dessert maker (in fact I’m fairly slow) but after a few attempts I can prepare this recipe in less than 30 minutes. Jamie Oliver adds orange zest to the mascarpone mixture – I’d highly recommend this (I even squeeze some orange juice into the melted chocolate). 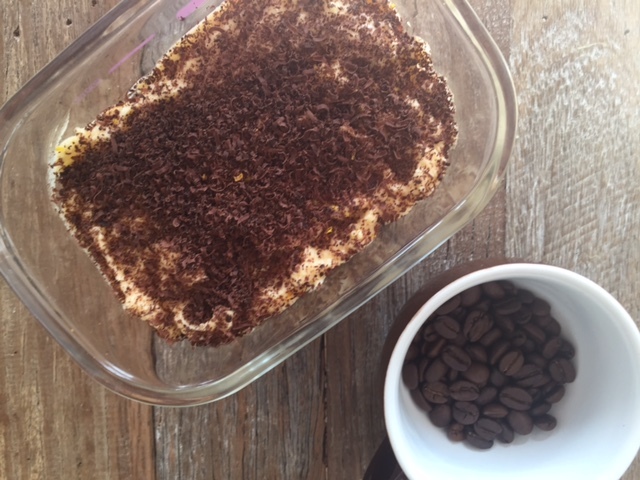 Instead of (or in addition to) chocolate shavings you can top your tiramisu with a few lightly crushed coffee beans and/or cocoa powder. An alternative to beaten egg whites is to use whipped cream. The difference? Egg whites create a lighter mascarpone mixture – one that’s airy and fluffy. 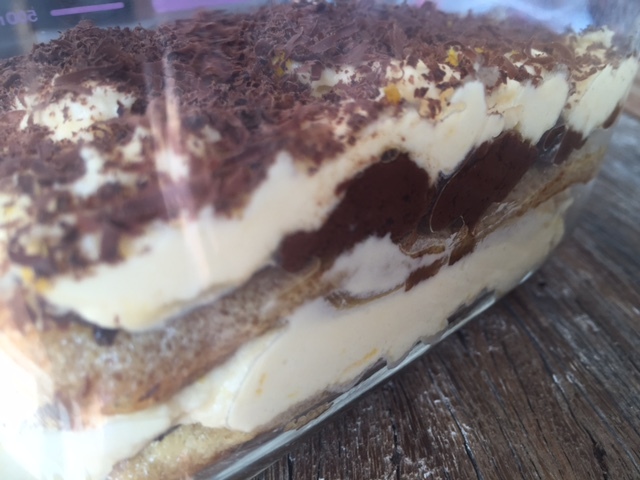 I’d love to hear any tiramisu tips you have……. 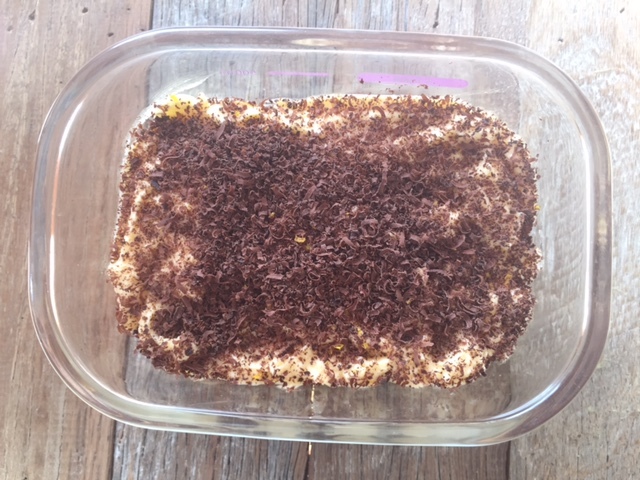 Tags: easy, Italian, recipe, sugar free, tiramisu. Bookmark the permalink. Love a good tiramisu. This one looks great! Thanks Helen – good old Jamie Oliver with the extra chocolate! Thanks Linda – perhaps you soaked the biscuits a little too much! Wow, Laura, that’s incredible you’ve been off sugar since 2012! Well done you!!! I don’t know if I would be as brave… although if you say that recipes such as this one can be adapted to containing less to no sugar, it tickles my interest! Do you use other sweeteners or.. how does it work? Thanks Ely – I do have a little bit now and again but I have found my tastebuds have adapted so I can remove it from recipes and not miss it. But yes I do use stevia as a replacement…..